Lion Lamb Blog -- David Mundy: A Muslim-Absent Iftar? From time to time I write about something related to the Islamic religion and Muslims. I feel that this is important given that there are about 1.8 billion Muslims, or a quarter of the world's population. I've noticed that even though I'm writing as a Christian in a blog without much fanfare, on these occasions when I write about Islam my page views spike. I wrote about a young Muslim woman I heard on the radio a month ago at the beginning of Ramadan. The White House described the Iftar as being "for the Washington Diplomatic Community," and most of the 50 or so guests in the state dining room of the East Wing were foreign ambassadors representing majority-Muslim countries. Leading members of the U.S.'s Muslim community who typically attend the event weren't invited. Muslim advocacy organizations the Council on American-Islamic Relations and the Muslim Public Affairs Council were both snubbed. So, too, were prominent spiritual leaders Mohamed Magid, the imam of the All Dulles Area Muslim Society Center, and Talib Shareef, president of the historic Nation's Mosque, the oldest mosque in the capital, both of whom have been fixtures at the annual Ramadan celebration. Also not invited were Democratic House representatives Keith Ellison and Andre Carson, the only two Muslim members of Congress. It's difficult to choose which Trump moments are the most cynical and disingenuous because there are so many but this must be near the top of the list. The Trump administration has been consistently anti-Muslim in both policy and tone. But how can a meal be held which is clearly a celebration of a religious tradition where no members of that faith community are present? The piece I described a few weeks ago was about a presentation Fahmida Kamali made to co-workers to give them a better understanding of Ramadan. Perhaps the Trumps should watch it. 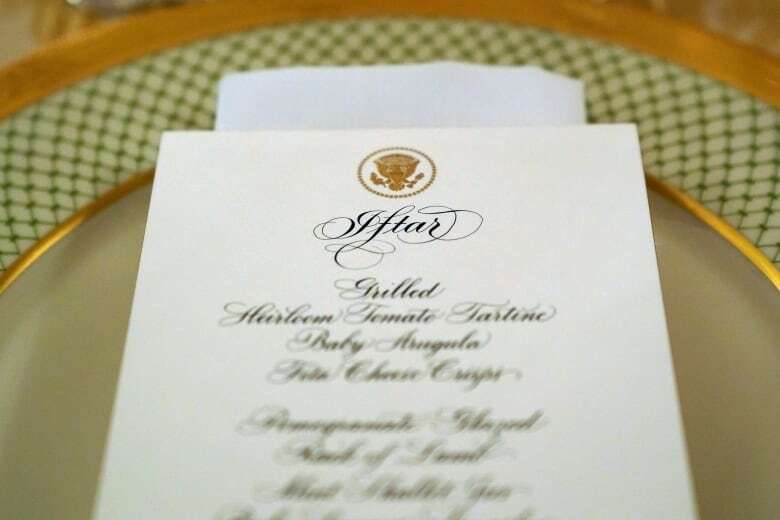 I'm surprised the White House didn't have a "pork only" menu for the Iftar. Unbelievable.